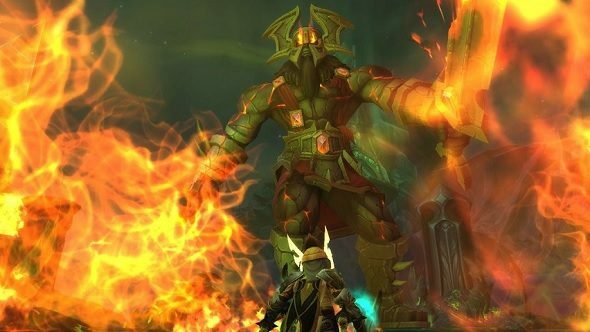 Blizzard hit a ceiling as they raised the stakes with Legion. Last year’s World of Warcraft expansion had us fend off a worldwide invasion, rip worlds across space, and culminated in fighting off Sargeras – the biggest bad in Warcraft. Where do you go from there? Find out everything you need to know about Battle for Azeroth before it arrives. While practically every RPG scales from fighting off wolves in the woods to taking on gargantuan foes, Legion felt like a natural cap. Now, with Legion’s demonic spaceships and cataclysmic weaponry gone, there’s a sense that the next expansion, Battle for Azeroth, will be far more down-to-earth. In the run-up to it, all stats have been squished, and questinghas returned to fighting ghosts and ghouls in ghastly forests. Whereas before we took up legendary weapons and struck multi-million damage blows against gods, we’re now heading back to taking a couple hundred hit points from bears. 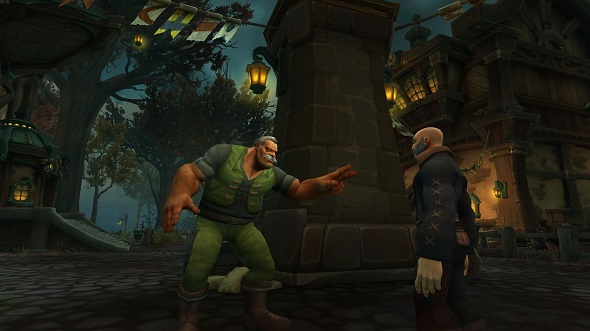 But in taking the apocalypse down a gear, there has been a sizeable shift in the game’s tone – a shift that feels most apparent in the Alliance questing experience through Kul Tiras. Warcraft has always blended Tolkienesque fantasy with comic-book spectacle. Stories increasingly driven by larger-than-life heroes and villains skewed the latest expansions far more towards the latter – but Kul Tiras throws things so far in the other direction it can feel more Game of Thrones than Dungeons & Dragons. The plot of Kul Tiras is one of politics – a story of various noble houses vying for control of the island nation. Quests in its regions have you freeing children from factories, laying siege to mutinous sailors, and sneaking aboard pirate vessels. Notably, however, when the fantastical elements come into play they feel a touch darker than before. 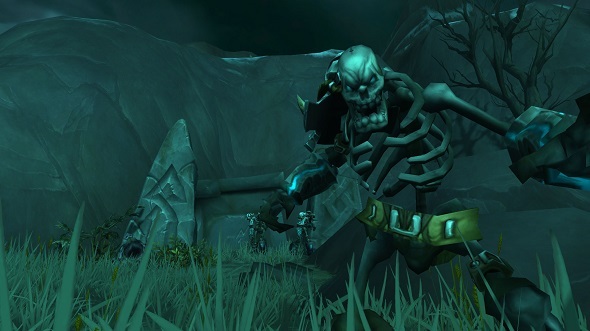 Necromancy and evil plagues are core parts of Warcraft but have always been cartoonishly evil. Skull-faced wizards hiding in spider-infested towers, undead monstrosities with goofy faces and their guts spilling out. The goofier side of evil is lost in Drustvar’s witches, where faceless wicker men leave villages bloodied and burned. At one point, you essentially torture a woman to prove to a vengeful mob that she’s not a witch. World of Warcraft, until now, has felt unashamedly high-fantasy. 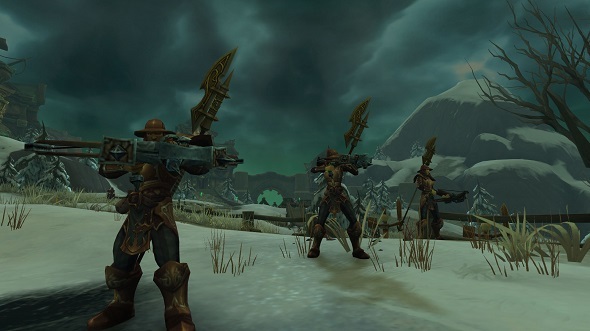 But Kul Tiras pulls part of the game firmly into low-fantasy, with its muted palette, grim weather, and foul people. Azeroth’s non-human denizens are even notably absent – outside of Boralus, the Tirasian capitol, you’ll be hard pressed to find a Night Elf or Gnome not helmed by another player. It’s beautifully well-realised, but it toes a line where I’m often asking myself if it’s even Warcraft at all. Which is, ultimately, a silly question to ask. Warcraft has had us go from passing love notes between farms to casually hopping planets and timelines – and everywhere in between. A grittier Warcraft is no more out of line with whatever we imagine the game to be than a time-travelling Warcraft, or a Far Eastern mythos Warcraft. But Battle for Azeroth is shaping up to be one of the darkest expansions yet – with long-established cities set to fall, and bitter rivalries coming to breaking point. It’s the only way I can see World of Warcraft going – but it’s sure to cause more than a little tonal whiplash.